American Electric Power is asking regulators for $52 million to build eight to 10 microgrids in Columbus, Ohio. Microgrid Knowledge reports the proposal was filed this week as part of an update to the utility’s Electric Security Plan. 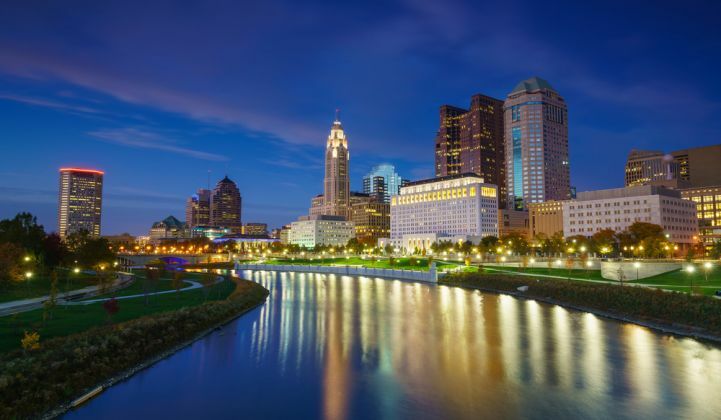 The Columbus microgrids are to be installed at critical facilities, such as hospitals, shelters, water plants, grocery stores and gas stations. AEP intends to allow other nearby customers to connect to the on-site generation for a fee. The proposal is part of a plan to decarbonize the power supply and transport in Columbus. In June, the Department of Transportation awarded the state capital a $40 million grant for smart city development. As a project partner, AEP Ohio pledged to install several microgrids, 250 electric-vehicle chargers, smart light controls and other power-related improvements. The microgrids will be powered by solar and energy storage, with natural-gas turbines serving as the marginal system resource. AEP expects this design to reduce greenhouse gases by 3,176 tons per year. In addition to the $52 million, AEP is seeking approval to recover $1.5 million per year for microgrid operations and maintenance. If approved, costs would be recouped through a distribution technology rider on customers’ bills. The eight to 10 proposed microgrids would be rolled out over four years, with plans for the utility to deploy additional projects at a later date. “AEP Ohio hopes that this initial demonstration project will create the blueprint for additional, larger-scale microgrid deployment to be proposed in a later proceeding,” said Scott Osterholt, AEP Ohio’s director of distribution risk and project management, in testimony before the commission. Osterholt said the utility microgrids will offer numerous benefits, including improved reliability, reduced system peak demand and integration of renewable generation. Microgrids can also offer ancillary services and demand response in the PJM market. AEP joins a growing list of utilities pursuing microgrid plans, along with Exelon, Duke Energy, National Grid, Pacific Gas & Electric, PSEG, Southern Company and Xcel Energy. Microgrid Knowledge points out that in restructured states, such as Illinois, Maryland and Pennsylvania, utility microgrids face opposition from stakeholders who believe that utility-owned and rate-based microgrids undermine competitive market principles. In Illinois, Commonwealth Edison recently offered to reduce the number of utility-owned microgrids proposed in a comprehensive energy bill over concerns that the utility was angling to monopolize the sector. In his testimony, Osterholt argued that utility microgrids offer services that private microgrids cannot. For instance, by installing the microgrid in front of the meter, the project can serve the entire utility distribution system by maximizing the benefits of demand response and sectionalizing. “Although there are third-party vendors that install private microgrid systems, these private microgrids are installed behind the utility meter and benefit a single customer,” he said. 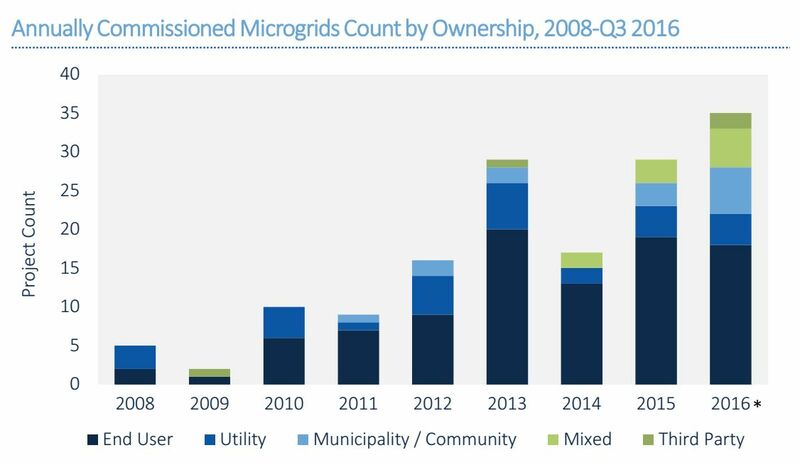 According to a recent GTM Research report, end users currently own the vast majority of microgrids in the U.S. But new ownership models are emerging, including a “mixed” category where ownership is split between two parties -- usually the site or property owner and a utility or a third party. “Utilities, whether as the sole owner or as part of a multi-stakeholder consortium, increasingly look to leverage microgrids as a ‘non-wires alternative’ to T&D investments that address localized congestion, line capacity constraints, feeder-specific voltage and frequency challenges and renewable targets,” the report states. In addition to the microgrids, AEP’s Energy Security Plan seeks to upgrade aging grid infrastructure, create a cost recovery mechanism for renewable generation, and improve physical security at distribution substations, among other things. The Public Utilities Commission of Ohio is expected to vote on the plan in April 2017.